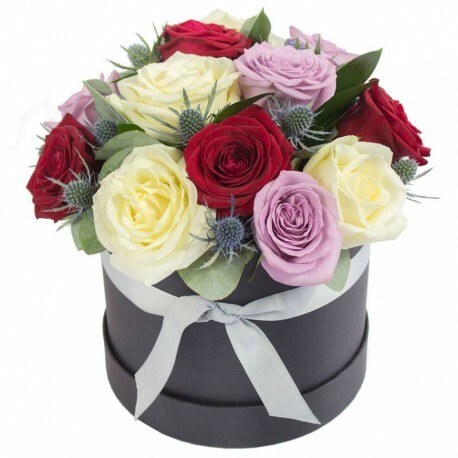 Hat Box Arrangement to include a lovely mix roses in red, purple/lilac and cream/white. The perfect gift for delivery on Valentine's day or the day of your choosing. Please note: the gift box style may vary from the one pictured. The florist may substitute individual flowers at their descreation.